Tiziano Zanin now works as a Technical Manager of the Laboratory Services at the E.O. Galliera Hospital, Genoa, Italy. In these years he has taken part in more than 199 scientific courses, congresses and conferences both national and international. 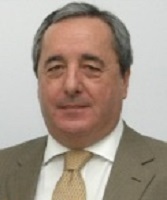 He is Vice President of AITIC – Italian Association of Biomedical Laboratory Technician. Since 2002, some of the courses (especially those specific of the laboratory area) have been qualified from the Ministry of Health for the ECM (Continued Education in Medicine); of these courses, he personally planned the training event. In 2008 he received a Master’s Degree in the Science of Health Professions and Diagnostics (Class 3/SNT-S) with evaluation: 110/110 with Honours University of Genoa and in 2010 Master’s Degree in Remote teaching applied to ITC and Health Sciences in Medicine –110/110 – always at the University of Genoa – Italy. He has organizational competences both in the human resources management and in the material resources one as well. He also works with the health ministry as “expert advisor for the ECM program from the Ministry of Health”. He was appointed by A.I.T.I.C. as a delegate in the Direction Board of SIAPEC-IAP in the years 2002/2018. He was a university professor from 2002 to 2018. He has carried out various projects in developing countries such as Tanzania, Palestine, Uganda and Benin. He is a member of the following scientific associations: A.I.T.I.C. (Italian Association of Histology and Cytology Technicians), founded and registered in 2002, of which he is a member of the Management. Since 2011 he is a member of the Direction Board P.O.F (Patologi Oltre Frontiera – Onlus) and has been a member since May 2005 of G.S.T.F. (World Forum on Science and Technology). Since 2018 he is a member of HBSRA – Healthcare & Biological Sciences Research Association. Pedro M. B. Silva Girão (FIET’18, IEEEM’00–IEEESM’01) is a Full Professor of the Department of Electrical and Computer Engineering, Instituto Superior Técnico (IST), University of Lisbon (UL) and a Senior Researcher, the Head of the Instrumentation and Measurements Group, and the Coordinator of the Basic Sciences and Enabling Technologies of the Instituto de Telecomunicações. His main research interests include instrumentation, transducers, measurement techniques, and digital data processing, particularly for biomedical and environmental applications. 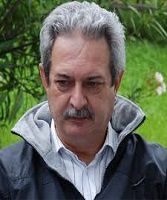 Dr. Silva Girão authored or co-authored some 460 publications, including 60 pedagogical texts, and is Chief Advisor IAPHLSR, Member of the Executive Council of ASRES, Honorary Chairman of IMEKO TC19—Environmental Measurements and Vice-President of the Portuguese Metrology Society.